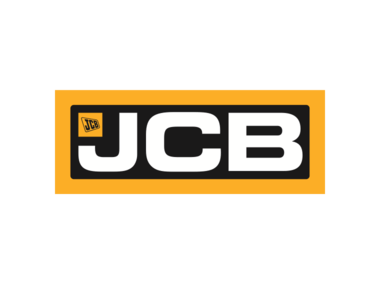 JCB are a world wide recognisable brand. A goliath in the heavy machinery and equipment market. After countless projects developed by independent teams we were approached to help build the tools and software to help them standardise the second hand machinery market place and share best practices around the globe. After initial meetings held with key stakeholders, dealership specialists and people from associated industries we established the three key areas we believed to be most critical for success. Additionally we worked to identify the existing systems that would be essential to integrate with in order to provide complete market coverage. The general lifecycle for used machines is to assess / value, purchase, prepare for resale, list in a marketplace then complete the trade. With a "user-first" design approach our plan was to use the most appropriate technology for the environment. Whether that meant a mobile of tablet device for initial valuations and data recording out in the field (literally) to a world wide online market place available in multiple languages and currencies. JCB machines are very large heavy items, throughout the initial fact finding we’d determined that it was unlikely for an owner to take their machine into a dealership for an initial valuation. With that in mind the iOS app was developed for a dealership to be able to pull up the appropriate checklist based on vehicle type and complete the inspection at the customer's premises. The benefits of an integrated camera and working in offline mode was that the data could be stored and uploaded once the device was back at the dealership and had a mobile signal. From the initial report, and an optional more detailed additional report, the items that had been given a low star rating or had been deemed requiring replacement prior to resale can be costed up. By presenting all of this information back the Used Equipment Manager they are better informed to calculate an accurate valuation for the machine. The benefits of a standardised approach to the recording of used machinery enabled the connection of a network of dealerships across the globe. Dealerships have the opportunity to market their used equipment for resale via a multi channel approach. 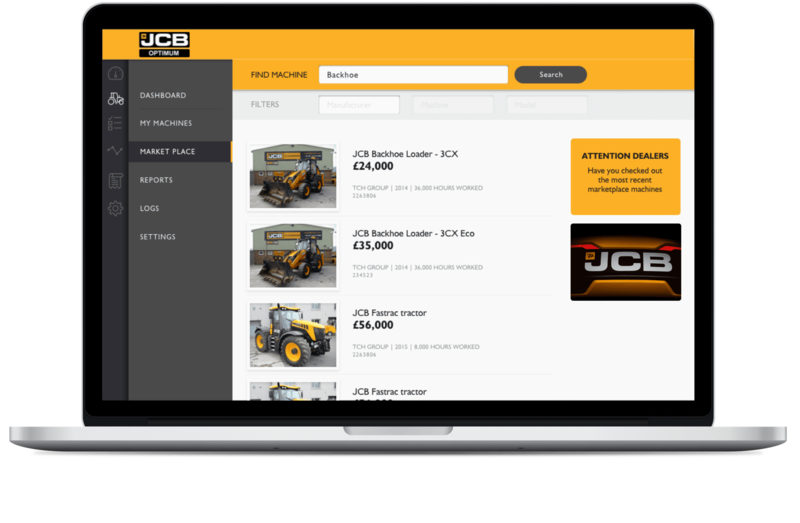 Pushing the data to major industry market places as well as the JCB.com used equipment area and including the data on their own sites was a major bonus in the process. 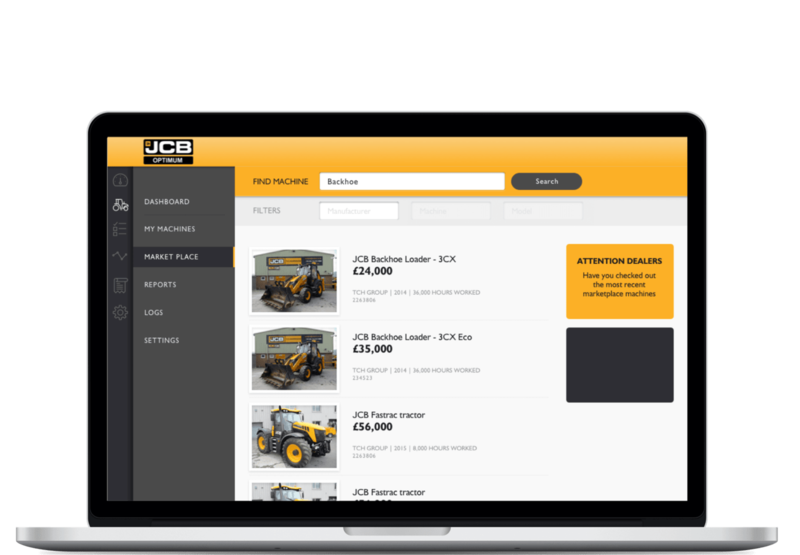 The additional ability to trade used equipment internally with other JCB dealerships completed the resale avenues. 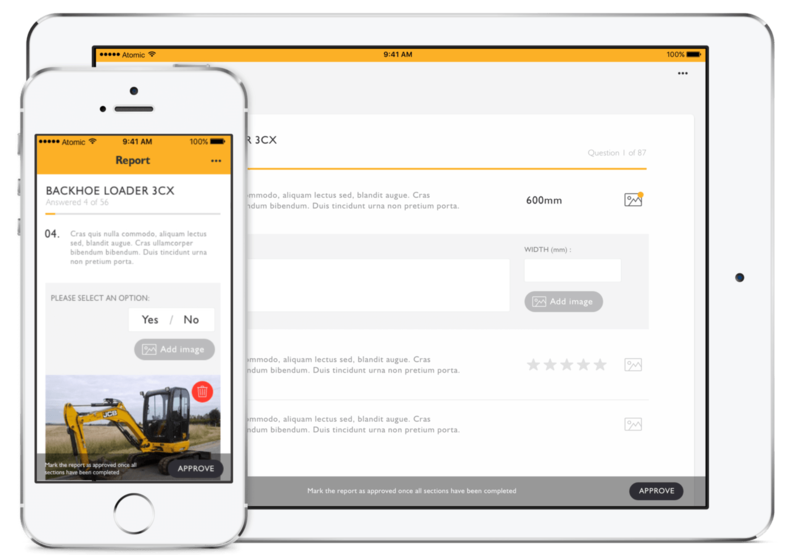 The JCB Optimum site was completed towards the end of 2016 and has been implemented across all major dealerships in the UK. It is currently being rolled out across europe and will drive consistent best practice across the whole of JCB.